The UH-60 Black Hawk is a four-bladed, twin-engine, medium-lift utility helicopter designed for the United States Army's Utility Tactical Transport Aircraft System. ISO Group provides military aviation spare parts, components and MRO solutions for the UH-60 Black Hawk and all variants: EH-60A, YEH-60B, EH-60C, EUH-60L-EUH-60L, HH-60L, MH-60A, MH-60K, MH-60L, HH-60M, UH-60A, VH-60D, VH-60N, UH-60J, UH-60JA, AH-60L, UH-60P. 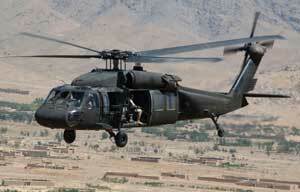 ISO Group has experience in the UH-60 Black Hawk Engine Assemblies, Rotables, Consumables, Avionics, Hardware, Landing Gear, Electrical Assemblies, Fasteners, and Structural Assemblies.